LISBON — Helen L. Stouffer, 92, died at 7:25 p.m. Tuesday at Salem North. Born Aug. 7, 1926 in Canfield, she was the daughter of the late Ward L. and Kathryn (Stack) Greasel. 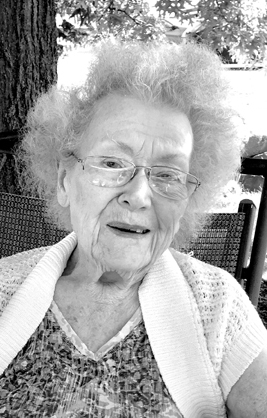 She once owned and operated an upholstery shop in North Lima and worked as a housekeeper as well as at Stouffer Farm Market for several years. She attended Trinity Friends Church in Lisbon. Survivors include her children: Timothy (Linda) Stouffer of Lisbon, Linda Hickman of Salem, Margie Berresford of Hanoverton, and Karen Cope of Lisbon; an eight grandchildren and nine great-grandchildren. She was preceded in death by her husband, Richard Stouffer. Services will be held at 11 a.m. Monday at the Weber Funeral Home with the Pastors Douglas DeMar and Ron Robinson officiating. Calling hours are one hour prior to the service. Burial will be in Woodsdale Cemetery.